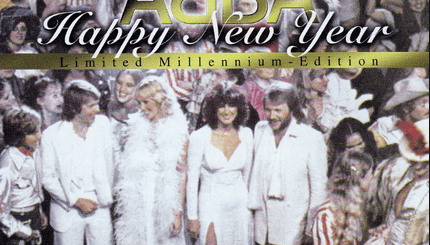 The meaning of ABBA’s “The Day Before You Came” is open to speculation. Fan theories range from the titular “you” referring to a stalker of the singer (Agnetha Fältskog), fellow ABBA member Björn Ulvaeus (whom Fältskog got divorced from a couple of years prior) or even the murderer of the character the singer portrays. However, the lyrics for the most part are vague and refer to an average day in the life of the singer. And the person referred to in the title is apparently a lover (though again this is not actually specified in the lyrics). In other words, it is the tone in which the song is presented in which makes it, according to co-writer Benny Andersson, “extremely sad”, not necessarily the lyrical content itself. While the writing of “The Day Before You Came” is believed to have been at least partially influenced by the aforementioned divorce of Ulvaeus and Fältskog, the era it was recorded in overall was a turbulent one in the history of ABBA as the group was disbanding. For instance, it is said that Agnetha recorded her vocals with the lights dimmed, and upon completing them, she just up and left the studio unannounced. In other words, while the lyrics themselves may not be depressing, there was a genuine sadness present in the studio during the recording of this track. And this mood seems to have been carried over into the song and as such, greatly influenced the finished product. “The Day Before You Came” was released on the 18th of October 1982. The writing and production of this hit song were handled by the Ulvaeus together with Anderson (both of whom were the primary songwriters of ABBA). This tune was at first released on the band’s compilation album titled, The Singles: The First Ten Years. To a certain degree, the lyrics for this track were based on Ulvaeus’ divorce from Agnetha Fältskog. The video for “The Day Before You Came” was directed by Kjell-Åke Andersson and Kjell Sundvall. In addition to the aforementioned album, this track also appears on numerous albums of the band. Some of them include: The Visitors (1984), ABBA Gold: Greatest Hits (1992), Thank You For The Music(1994), The Complete Singles Collection (1999), and The Definite Collection (2001). The English synth-pop band Blancmange recorded a cover version of “The Day Before You Came” in 1984. In 1982, this song reached number 32 in the United Kingdom. It also peaked at number 3 in ABBA’s home country of Sweden. In Belgium, it also peaked at number 3. It peaked at number 5 in multiple countries, including Canada, Germany, and Norway.